Zemfira burst into our lives like a hurricane, wiping off everything in its path. Deafening, mad, harsh vocals and caustic words, the image of a liberated girl, everyone was immediately attracted to the flashy, attention grabbing look. 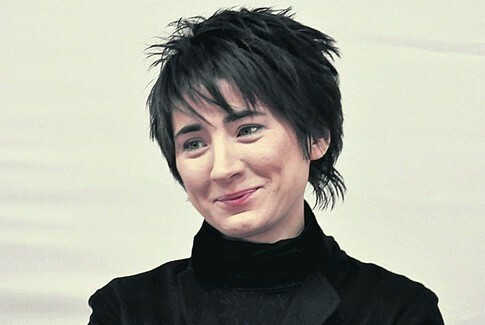 Zemfira bewitched everything, her sparkling eyes are shining from under their dark shadows mysteriously. Who is she and why is she trying to be different? 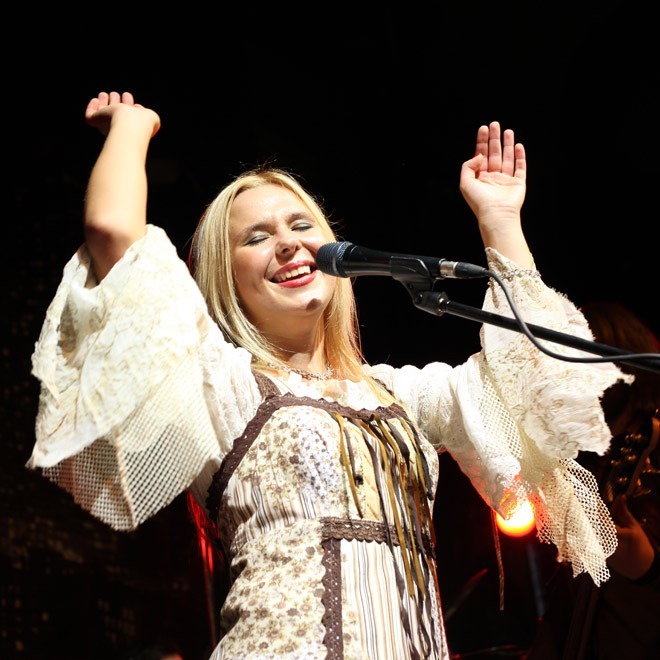 She is a famous Russian folk-rock singer, a soloist and founder of the “Pelageya” band. She has one of the best voices in the country. She’s a self-taught musician with a voice of great range. Pelageya sings Russian folk songs – an awesome choice for a young lady. It is not very popular nowadays. She is one of the four coaches of the Russian talent show The Voice. She is a famous Russian singer, composer and songwriter. The winner of the television show “Star Factory 4”, and a judge in the vocal show “X-factor”. Irina Dubtsova often calls herself “a man with decollete” in interviews because she controls many aspects in her life. The tall brunette with heartful eyes and a pronounced charisma singer Slava broke into the hearts of millions from the first appearance on the scene. Due to her flamboyant demeanor and an inimitable sense of humor, her appearance on television and Radio stations instantly raised the ratings of TV or Radio show. As for today, she has national recognition. She is the owner of one of the most important awards in the Russian show business – The National Music Prize “Golden Gramophone”, which she received in 2005 for the song “Classniy”. Take off of her career began with the victory in the musical contest “New Wave – 2003”. Her hits “Veni-reki”, “Ti skazhesh”, “Prikol’naya”, “Dai mne pyat’ minut” occupied the leading position of charts, and music videos on these songs were in the rotation of leading music TV channels. Nastya played the piano, danced in childhood. Maxim (Marina Maximova) was born in Kazan, the capital of Tatarstan. Her older brother and his friends, with whom she spend a lot of time, gave her the nickname “Maxim”. Marina graduated from a music school (a piano program), and she began to write lyrics and music at age of 14 years, which would be included in her albums later. As a schoolgirl, Maxim participated in many urban music competitions. At the same time she made the first attempt to write her own songs. Marina recorded songs such as “Chuzhoy”, “Zavedi”, and “Prohozhiy” with the band “Pro-Z” in the studio. “Zavedi” gained great popularity in Kazan, played on the local radio, and became a local hit in Tatarstan. DJ’s included it in their club sets. Having released the song called “O, Bozhe, kakoy muzhchina!”, Natali’s star again rose over the Russian show business. Although the singer says that she never felt herself forgotten. All these years she toured and participated in various shows. But we miss her tender lyrical song “Veter s morya dul” which associated with our personal memories. Elvira T resembles the classic fairy tale about Cinderella. Elvira Tugusheva was born in Saratov and since a childhood has dreamed of a big scene. Her first song was called “Vse resheno”. To her surprise, this song scattered on the internet. Now the song by Elvira T has played on the radio and musical channels in Russia. She became the owner of the most prestigious award – “Fashion People Awards” in the category “Discovery of the Year” and continues to delight listeners with new hits! Showbiz has missed sincere young performers who have not only an attractive appearance, but also charisma, thus inspiring fans of all ages and backgrounds. The young generation live in harmony with her songs, and the more mature generation makes a nostalgic journey through Nyusha’s hits through the past. Each of her songs is a story in which there is an entire spectrum of human emotions, and, of course, love serves as the leitmotif. Nyusha sings in concerts halls not because her name has become a brand – one can attract journalists and a handful of fans with this, but it’s all about devoting her life to creativity and her work is the corner stone of herself. “I would describe my life in this one sentence: race for popularity”, she once said. To come out victorious at all costs, to be the most beautiful, talented, charming, and attractive – such purposes are main in her life! She is not only a singer and a figure skater, but also an actress. The first hit of the singer was the track “Na morya”, which Semenovich recored with the singer Arash. Music beautiful russian voice, Cantante Rusa pop, music, Pelageya, pop music, popular Russian female pop singers, rock music, Russian folk-rock, Russian music television, Russische Popmusik, Top 10 Russian female singers, Zemfira Russian. permalink.